Adults:. 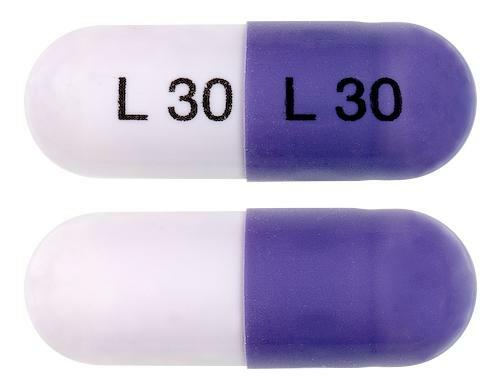 LANZOPRAN capsules are indicated for. - Healing and long-term management of reflux oesophagitis. . - Healing and long-term management for patients with duodenal ulcer.. - Healing of benign gastric ulcer. Patients whose gastric or duodenal ulcer is not associated with ingestion of non-steroidal anti-inflammatory drugs require treatment with antimicrobial agents in addition to antisecretory drugs whether on first presentation or on recurrence. . - Patients with benign peptic lesions that do not respond to H2-receptor antagonists.. - Eradication of H. pylori from the upper gastrointestinal tract in patients with peptic ulcer or chronic gastritis when used in combination with appropriate antibiotics. . - Relief of reflux-like and/or ulcer-like symptoms associated with acid-related dyspepsia. . Paediatric and adolescent patients I to 17 years of age:. LANZOPRAN capsules are indicated for. - Treatment of gastro-oesophageal reflux disease, including all grades of oesophagitis. . - Healing of erosive oesophagitis. Food reduces bioavailabilty, but this has very little clinical impact.